Ancient Astronaut theorists suggest that evidence of extraterrestrial visitation exists in every corner of the Earth, but some say the most compelling can be found in one of the world's least accessible placesвЂ“China. China is the cradle to one of mankind's earliest and most influential civilizations. The advents of gunpowder, paper, the compass, and countless other major innovations form the technological base on which our modern societies function. But historically, China has also had a policy of isolationism. An inside look at the making of the movie Star Wars: The Force Awakens (2015), featuring footage and exclusive interviews with the actors and filmmakers. Marta PГ©rez has a dream. A young trained nurse from Vigo, she wants to start working in her chosen profession at last. IT expert Dimo Urumov from Plovdiv also spent ages looking for a job in his home country, as did actress Mara Vlachaki from Athens and Paulo Rodrigues, an engineer from Lisbon. His areas of expertise are computer science and developing countries. Nazir Peroz heads the Center for International and Intercultural Communication, or ZiiK, at BerlinвЂ™s Technical University. Born in Kabul, he has been living in Germany since the late 1970s. His current mission is to revolutionize Afghanistan with German help. In the Arizona desert, the planetвЂ™s largest work of art has been taking shape. Light-artist James Turrell, known all over the world, has turned an extinct volcano into a gigantic sculpture: the Roden Crater. Rebels, Radicals, Mavericks, Change Makers. I Am Rebel is a documentary series about outsiders finding their voices in the underworlds of vice and proving that change only happens when you break the rules. New York's first crime scene photographer, Weegee, shines a light on organized crime. Louis Moore hijacks Southern Airways Flight 49 to seek justice against police brutality in Detroit. Chemist Alexander Shulgin creates a backyard laboratory where he invents the psychedelic drug, MDMA. Kevin Mitnick is the first "darkside hacker" to use "social engineering" against the FBI and in turn helps draw attention to computer security. In 2013, former Canadian Minister of Defense, Paul Hellyer, made a shocking claimвЂ“that there is a federation of extraterrestrial beings monitoring and guiding humanity. But why would such an esteemed politician make such a controversial announcement? Ancient Astronaut theorists believe evidence can be found throughout history to prove his claims are true. 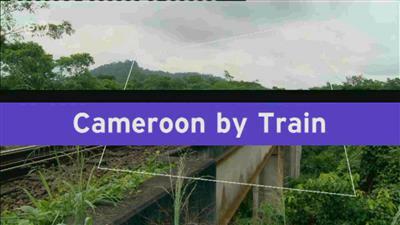 Cameroon is full of cultural surprises and the ideal location for a journey of discovery by train. One popular rail route stretches east from the port city of Douala, not far from the Atlantic, to the capital city Yaoundé. An intimate look into the life of the tennis champion and international superstar Serena Williams during her 2015-2016 season. Real, raw and authentic, 'Serena' provides a glimpse into the world of the athlete-designer-businesswoman, while offering an unvarnished portrait of this often-controversial sports icon. This feature documentary explores the uncompromising pressure that comes with being the world number one, ultimately emphasising the humanity under all the success.